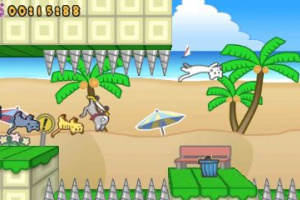 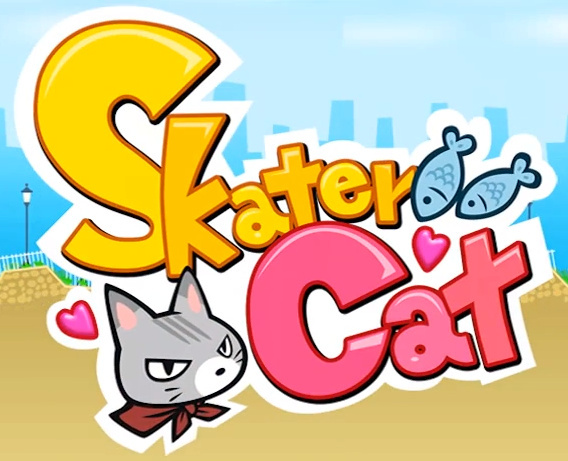 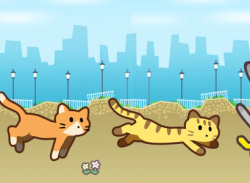 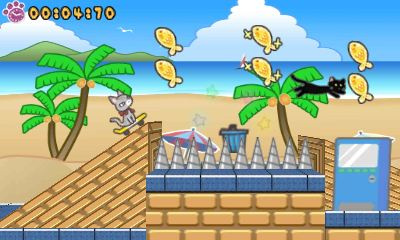 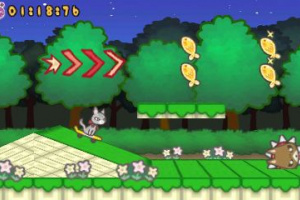 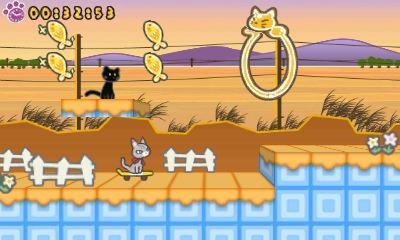 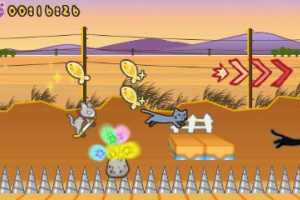 Skater Cat is a side-scrolling action game where players jump on board a skateboard with Ollie the coolest cat in town. 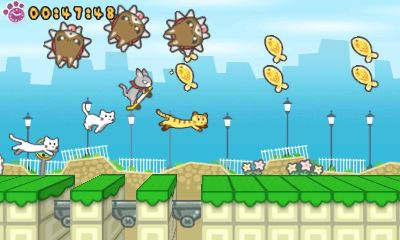 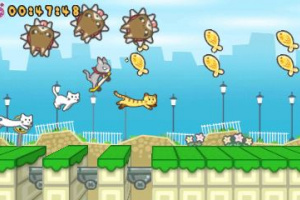 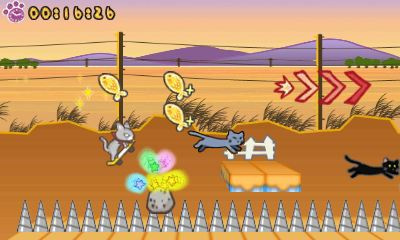 Players will travel through 3 worlds in over 25 levels collecting treats and rounding up stray cats to win a total of 90 medals! 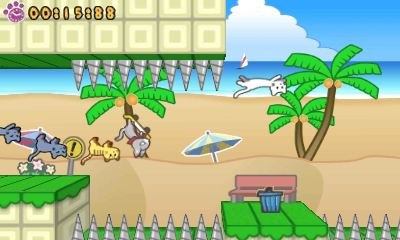 Best times and ghost runs can be exchanged with other players and the games’ developers via SpotPass and StreetPass, once enabled on the Nintendo 3DS system. 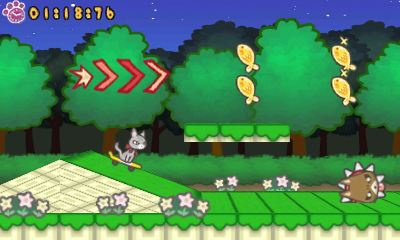 Exciting in-game bonuses to unlock including the ability to play as your Mii!